Heat oil in a non-stick pan, add mustard seeds, when it splutters add ginger garlic paste, onion and green chillies and stir fry until light brown. Add keema (mince), carrot and mix well. Reduce heat. Add salt and all the spice powders. Fry for 1-2 minutes. Cook covered on low heat for about 5 minutes, till the mince is cooked. Add chopped tomatoes, stir and cook till they are soft and keema is dry. Finally add coriander leaves and lime juice mix well and turn off the heat. Serve with Indian flat bread or Paalappam. Beautiful props, recipe also looks very yummy! Looks great! And I so want your dinnerware, that cheerful blue and the pattern are amazing. Simply delicious kheema !! lovely dinnerset !! That's tempting me like hell ! Nicely made and presented..Super captures too ! I make something similar to this but I add some peas too. I just love the combination of the spices, the coriander and the lime juice. It's quick to make and an economical and satisfying family supper. Lovely blue dish in the pic. That looks wicked good! With that spice combination, it has to be. 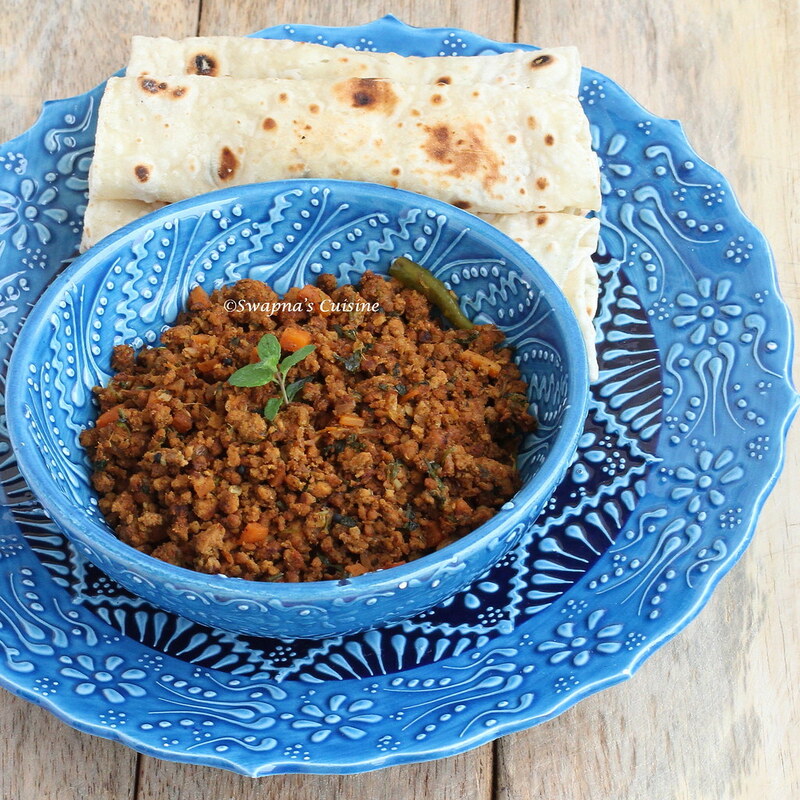 thanks for the simple yet tasty recipe for keema. i love mutton/lamp preparations of all hues, specially the kerala ones with coconut milk and tamil nadu 'chukka'. what's up ur sleeves, pl share. i would like to try them for my sons who r crazy like me for "aadu" items. 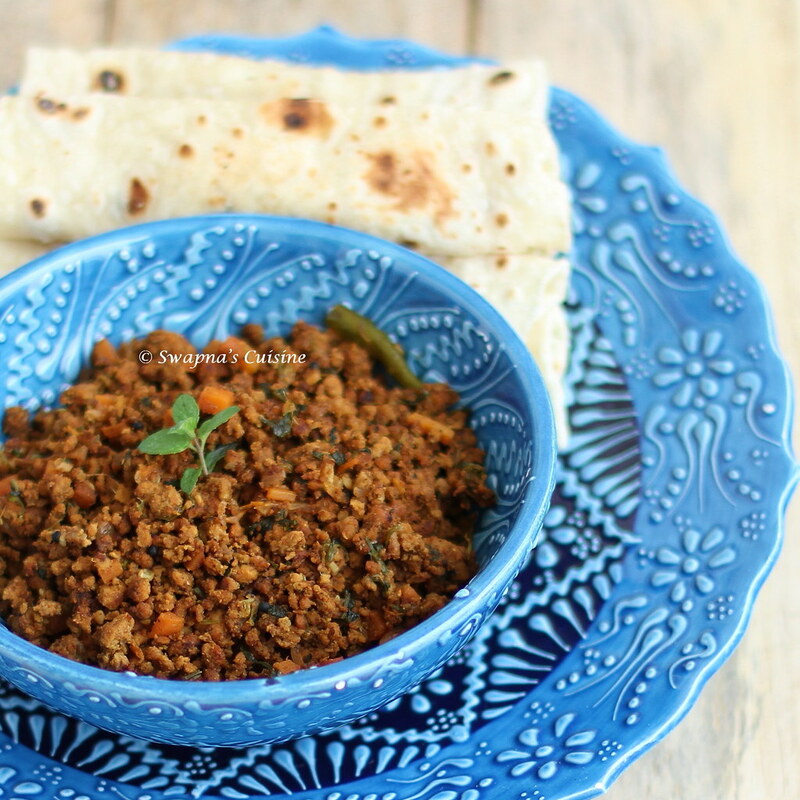 Really good keema recipe. I just tried it.